The organized unit of UMW shall be a community of women whose PURPOSE is to know God and to experience freedom as whole persons through Jesus Christ; to develop a creative, supportive fellowship; and to expand concepts of mission through participation in the global ministries of the church. 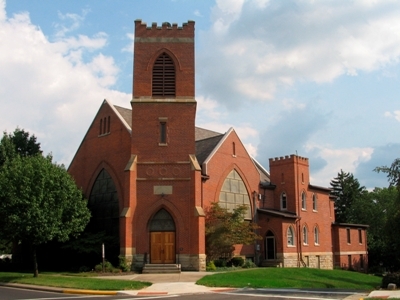 Trinity’s UMW meets on the 2nd Monday of each month at 7:00 pm, usually in Trinity Hall. Poquer Club is held the last Wednesday of each month at the Edison Depot. We meet there for breakfast and a short devotion. This is sponsored by the UMW but everyone is invited. Work/Sewing Day is the second Wednesday of the month around 9:00 am. We have had some uplifting times together recently. The Christmas carry-in dinner was lovely and we shared experiences with 17 people that day. We have had many women working together at several different times working on the sleeping mats for the homeless project. A total of 12 sleeping mats were delivered to the Salvation Army. This not only helped the homeless, but also kept more than 7,000 plastic bags out of the landfill! Thank you to everyone who was part of this worthy project! Below are pictures of all the ladies who showed up to cut plastic into strips and crochet the mats. Poquer Club will meet on Wednesday, February 22nd at 8:30 am at the Edison Depot. Please note the location change as the Cornerstone Café where we used to meet is closed. Our next sewing/work day will be Wednesday, February 8th at 9:00 am. The February whole group meeting, which will be held on Monday the 13th will be about Heart Health. Nurse Beth is going to connect us to a good way to take care of our bodies. We are currently taking part in a DVD driven bible study by Beth Moore that is led by Denise Canankamp. This study meets on Wednesday afternoons at 1:00 pm and Thursday evenings at 7:00 pm. Kelly Hand has started our Couponing project, which will not only help us to save money but will also help those less fortunate. She has placed a box for coupons just inside the Center Street entrance of the church.